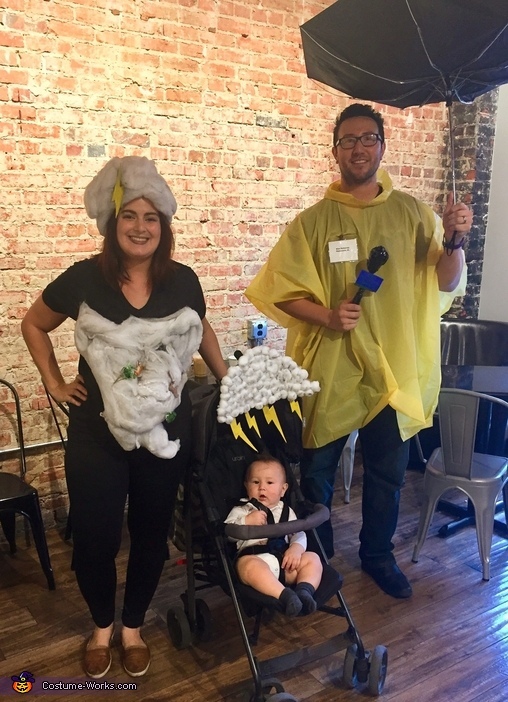 Mom is a tornado, Dad is the weather man and Baby was struck by lightening! The ideas were from Pinterest and lack of funny ideas for family costumes. Mom put her blood, sweat and tears into these costumes with some cotton balls, cob web fluff, duck tape and hot glue.